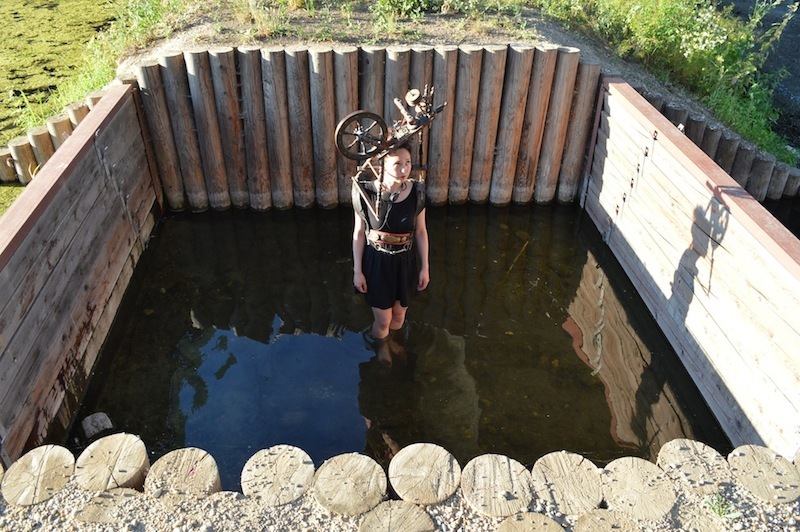 No Patent Pending is a nomadic performance series, presenting radical artistic practices that involve developing, composing and performing with self-made instruments that engage with the four dimensions of sound, image, space and the body. The 13th edition of the series will be held in Aparaaditehas in Tartu, to present a selection of performances and talks by Matteo Marangoni, Dewi de Vree and Patrizia Ruthensteiner, Mischa Daams and Lars Kynde organised by iii and Adam Denton and Luke Twyman. Event is moderated by Taavi Suisalu. Event takes place in the frame of MoKS meetings, an event series that aims to introduce current MoKS artists- in- residence to a wider audiences. Instrument Inventors Initiative (iii) is an artist run platform for the development of self-made media based in The Hague which supports idiosyncratic research trajectories that zig-zag between disciplines and distribution channels. iii operates as a production house, artist residency and distribution agency, promoting radical interdisciplinary work crossing between the fields of music, visual arts, theatre and media design. Inventing new instruments and out-of-the-box presentation formats that engage with the four dimensions of image, sound, space and the body, iii strives to offer unique experiences to a broad and varied audience. Very special thanks to Timo Toots!